The party celebrating 70 years of the NHS is put on hold when a major incident pushes Holby to the limits. Serena is reminded of a patient she saved many years ago - with the odds stacked against her, and with Ric's help, can she do the same again? Jac and Abigail find themselves at odds over a patient set for a heart transplant. But with Jac back at work, is the transplant Abigail's only concern? 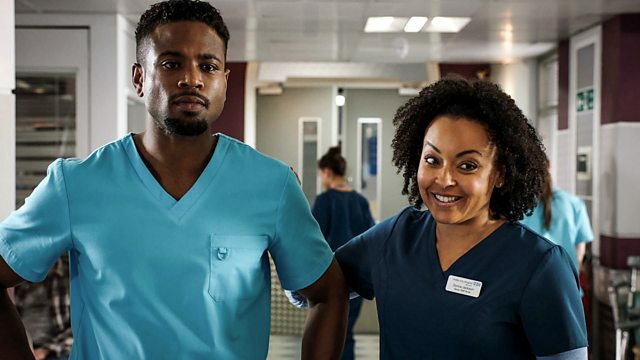 Sheilagh reflects on her stay at Holby and the importance of the NHS. Encouraged by Dom's feelings for her grandson, she gives Lofty one last present before she goes.